When a cow sees a horse running wild and free it lets out an envious “neigh.” That horse sees a duck. No one rides on a duck’s back, so the horse gives out an envious “quack.” On it goes through the farm with animals envying something about another until even the farmer gets involved. Wonderfully illustrated and humorous and with rhythm, rhyme, and animal sounds, this book is sure to be a crowd pleaser! 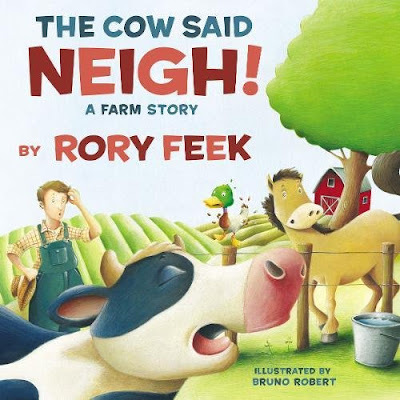 If you’re interested in reading The Cow Said Neigh!, you can purchase a copy here on Amazon.